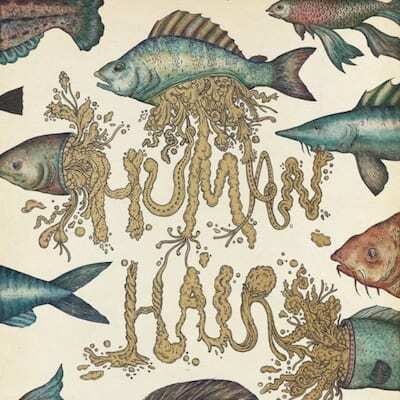 Human Hair’s founding members, Jack Lenton and Henry Withers, have been making music together since 2008, but recently, thanks to the amalgamation of members of different bands (Throats, Claw Marks, Dignan Porch), the band have recently completed their lineup, culminating in their first LP, ‘My Life As A Beast & Lowly Form’. The London quintet are a difficult one to categorise for a number of different reasons. They’re old school, they’re new school, unique and redundant at the same time and we love every second of it. To start off, Human Hair have no pretensions about themselves or their music, which is something that isn’t very common anymore. Just when it seems like the music industry is getting too serious, the refreshing sound of Human Hair comes in to save the day, providing an album that is just pure, honest, fun, rock and roll. There’s a lot to be said about a band that describe their own sound as ‘160 years of music crystallised in a headache’. Vocalist, Jack Lenton, creates a display of showmanship that can be heard in his vocals alone in songs like ‘Left Hand’ and ‘Book Club’. Lenton’s manic vocals fit perfectly into the organised chaos in each track. The tumultuous guitars and pounding drumbeats produce a galvanic sound that works in the strangest possible way, as heard in ‘Party Size’ and ‘Chapter And Verse’. The real stand-out track on the album is ‘Hungers’, a solid, tongue-in-cheek track that seriously rocks from start to finish with Lenton’s impressive war cry laid over a solid musical display from the band. 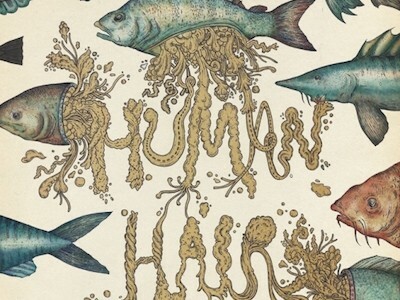 Will Human Hair change the way you think about life or make you question the human condition? Not even a little bit, but sometimes that’s exactly all we need or want from a band. ‘My Life As A Beast & Lowly Form’ is a solid album and the perfect introduction to a band that is sure to gain attention in some way in the future.